We were on holiday in Camber Sands again this year, and decided we needed to visit somewhere for Sunday lunch. Last time we were in the area, we tried to visit The Gallivant, but it was fully booked – so this time, I booked way in advance via their website. 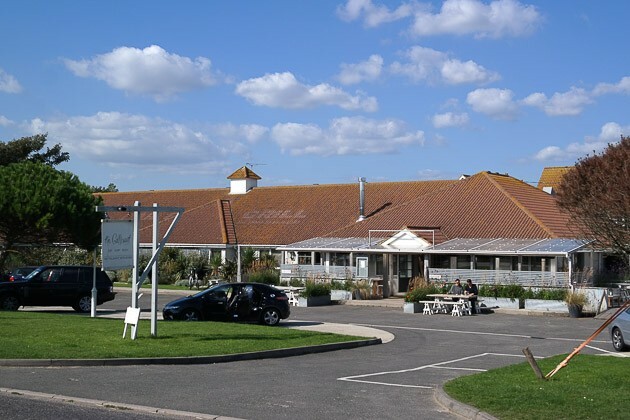 The hotel is situated on the main road going into Camber; it has a car park outside (a grass verge separated it from the main road). We were met at the door and directed to the nice bar area whilst they got our table prepared. It took a while to get it ready, which meant entertaining a very hungry toddler for a bit longer than necessary. The table was laid out with water glasses (not wine glasses), and unfortunately I had to ask for our menus as the waiter forgot to bring them over to us. The restaurant, being dual aspect with large windows, was light and airy – think smart, fresh and beach. In the middle of each table were some pretty flowers in a vase. Claire ordered a Chapel Down sparkling wine, I asked for a Curious Brew – a lager made by the same company. Due to the extra waiting time for our table, we decided to straight to main course. 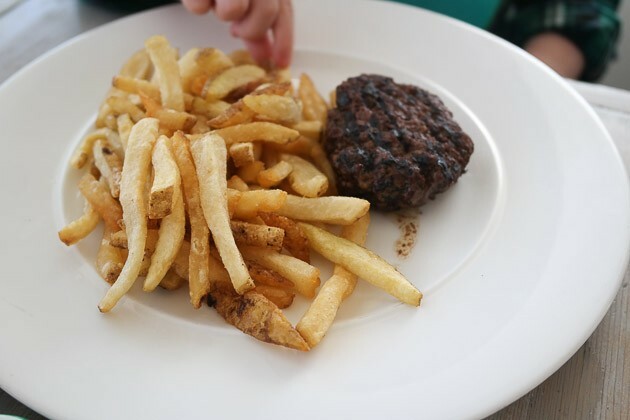 We ordered 2 roast beef, and a burger & chips for JW, our gluten, wheat and dairy free toddler. Claire prefers her beef to be cooked all the way through, but the waitress strongly suggested it would be better medium rare (they could put it under the grill or fry it, but it would get quite dry). Claire decided to trust the waitresses judgement. Sunday lunch was brought out quite quickly after ordering – 2 large and thick slices of beef, 3 roast potatoes (along with a bowl of more! ), a Yorkshire pudding, vegetables and gravy. The beef was cooked perfectly – it was seared on the outside and pink inside – perhaps some of the best beef I have had and it converted Claire (it might have helped that they were very generous with the horseradish!). The potatoes were good, as were the vegetables which, being carrots, parsnips and beetroot, were all root – some were completely coloured purple at points! The Yorkshire pudding was delicious, being hollow inside, and having a flaky texture. Lastly, wonderful gravy. 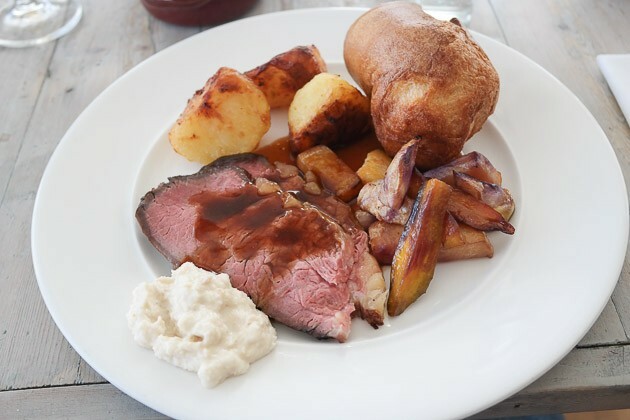 Overall a superb Sunday lunch, it all worked very well together. We ordered a sorbet for JW, sundae for Claire and chocolate delice with baileys cream for me. The delice with baileys cream was very good, and came with some fresh raspberries. JW’s (3 flavour sorbet was excellent but really, the star was the sundae. 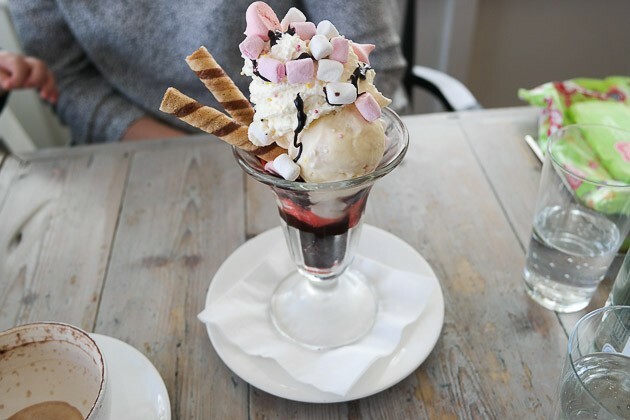 It had marshmallows, meringue, wafers, chocolate brownie pieces at the bottom, ice cream throughout and topped with cream and sauce! I loved sharing half :-) – it was so large though, that even with 2 of us attacking it, we still had to leave some! 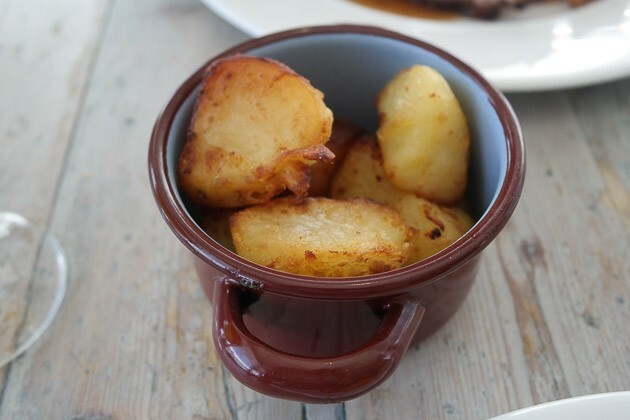 The Gallivant was good for families, the staff were friendly towards JW, the high chair was clean and they were able to adapt the children’s menu with his dietary requirements. It was perhaps a tad on the expensive side, being £9.50, but we didn’t need to pay for a dessert for him (as his meal was quite small without the bun etc). I believe they had changing facilities available if required. 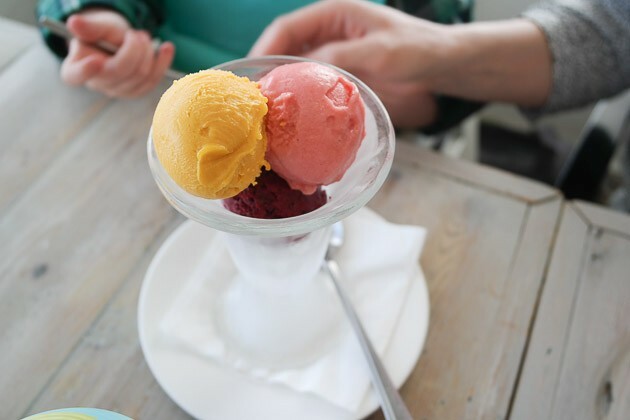 Initially, I was a bit put out with waiting for our table for so long – but it was very busy (including a boisterous family which certainly put us on edge – thankfully they left shortly after we sat down). The staff on the whole were attentive, even if they did forget the menus. The food was excellent, our roast beef superb as was the sundae. 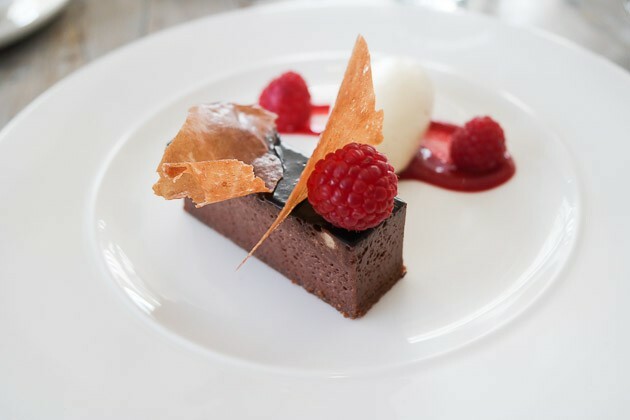 Overall, as the food was so good, I’m going to forget about the small mishaps and award a Top Rated Sunday lunch at The Gallivant in Camber Sands – suitable for families, couples and celebrations.